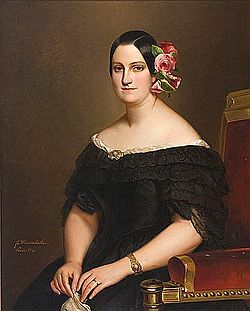 Maria Christina of the Two Sicilies was born on 27 April 1806 as the daughter of King Francis I of the Two Sicilies by his second wife, Maria Isabella of Spain. On 11 December 1829, she became the fourth wife of Ferdinand VII of Spain, who was also her uncle. 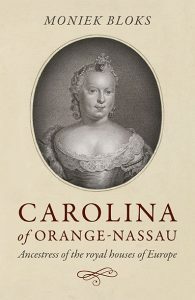 His first wife had been his first cousin, Maria Antonia of Naples and Sicily, who had died of tuberculosis after just four years of marriage. His second wife had been his niece, Maria Isabel of Portugal, who bore him a short-lived and a stillborn daughter. She died in childbirth after just two years of marriage. His third wife had been Maria Josepha Amalia of Saxony, who had died of a fever after nine years of marriage. They were childless. By now Ferdinand was in desperate need of an heir. Luckily for him, Maria Christina quickly fell pregnant, and she gave birth to Isabella in 1830 and Luisa Fernanda in 1832. They also had two sons, who did not survive infancy. Her husband died on 29 September, and he had set aside Salic law with the help of the Cortes Generales to allow Isabella to succeed him. His brother Carlos, who had been next line, was naturally not amused by this and disputed Isabella’s succession. Carlos’ attempts at seizing power resulted in the Carlist Wars, but Maria Christina was able to retain the throne for her daughter. Just three months after her husband’s death Maria Christina secretly married again, to a former member of the royal guard, Augustín Fernando Muñoz. They had nine children, all while trying to keep their marriage a secret. Any official remarriage would have meant that Maria Christina would have to forfeit the regency of her daughter. Eventually, the news leaked out, and it made Maria Christina very unpopular. 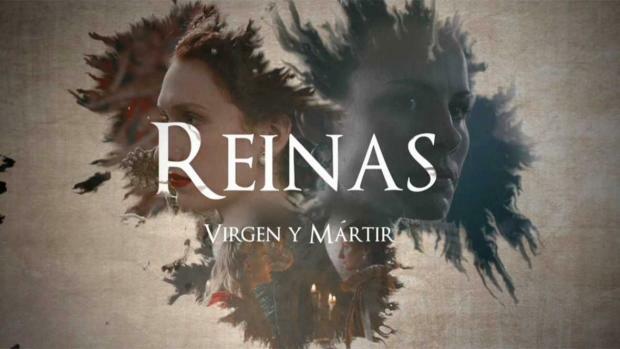 She was forced to renounce the regency, and she was told to leave Spain with Muñoz. She was replaced as regent by General Baldomero Espartero, Count of Luchana. Isabella was declared to be of age at the age of 13 in 1843. 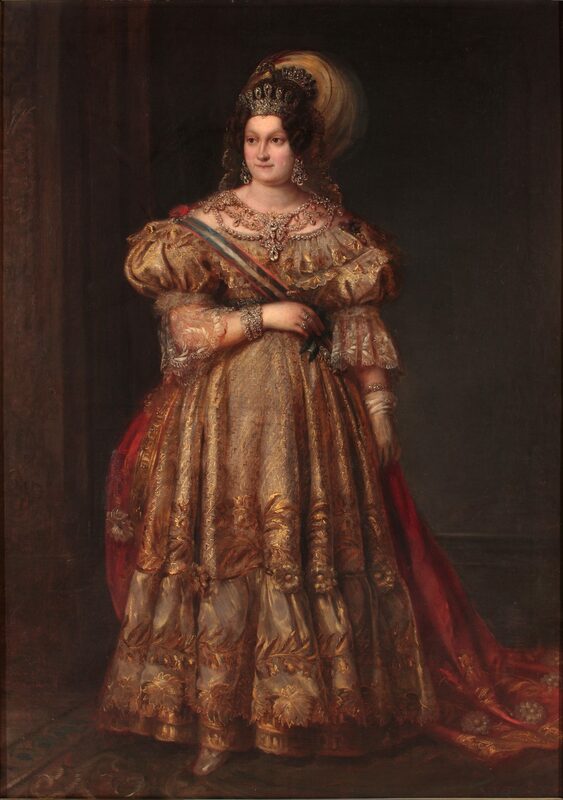 Marie Christina and Muñoz purchased Château de Malmaison in Paris as their residence in 1842, but they returned to Spain just a year later when Isabella was declared to be of age. On 23 June 1844 Isabella gave her stepfather the title Duke of Riánsares and in the same year gave official consent for the marriage. He was made a Knight of the Golden Fleece and in 1846 received the second title of Marquis of San Agustín. Maria Christina left Spain in 1854 to make France her residence for the rest of her life. She died in Le Havre in France on 22 August 1878 and was buried at El Escorial.